2018 was a year of transition for everybody in NASCAR. 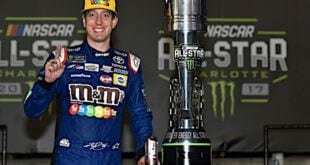 For the fans, it was the first season without the sport’s most popular driver for the last 16 years making an appearance in the Monster Energy NASCAR Cup Series. For NASCAR’s management, it was a year where both a new CEO and a new president took the reins. But for competitors, perhaps the biggest change of the season was the announcement that Jimmie Johnson and longtime crew chief Chad Knaus were splitting up at the conclusion of the year. Johnson and Knaus are by far the most successful modern pairing in NASCAR’s history. In 17 seasons and over 600 starts, the two won 81 races, had 347 top-10 finishes, led over 18,500 laps and hoisted the championship seven times. Nobody else comes anywhere close to those numbers outside of Richard Petty and Dale Inman. But even then, Petty-Inman was a completely different time, and Inman’s role on the team was significantly different than Knaus’. The No. 48’s reign from 2006-2010 of five straight championships is arguably the most impressive accomplishment in all of sports. 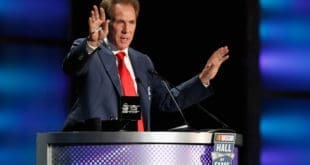 A number of either Hall of Fame or arguably Hall of Fame-caliber drivers — Jeff Gordon, Mark Martin, Matt Kenseth, Tony Stewart, Carl Edwards, Kevin Harvick, Greg Biffle, Dale Earnhardt Jr., Kyle Busch, Kurt Busch, Denny Hamlin and Kasey Kahne — were beaten by Johnson every one of those five years. That was possibly the most competitive time in the sport’s history, and yet one team still stood head-and-shoulders above the rest. So, why was 2018 the last year for Johnson and Knaus together? Simple: it seemed like just nothing could make them go fast, and 2018 is Johnson’s only season without a victory. During the regular season, Johnson was usually mired around the early- to mid-teens in the running order. There was anticipation every week that, hey, the No. 48 is typically pretty good at this track, maybe Knaus will make a great setup and they’ll come out, lead 200 laps and win the race in typical fashion. This is what the two had always done; they just needed that one race to get into the rhythm. But that race never came, and outside of some good runs at short tracks, Johnson just couldn’t consistently finish in the top 10 like he once could. What’s more is that longtime sponsor Lowe’s announced it was leaving at the end of the season. Lowe’s had been the primary sponsor for just about every race in Johnson’s Cup career, and it leaving probably did not help morale within the organization as it geared up to win another championship. Although he entered the last race of the season on the bubble for the first time in his career, Johnson was able to make the playoffs once again. Since the inaugural playoffs in 2004, Johnson is the only driver who has been able to make it back to the mountain every season. And usually, that’s the time where everything comes together for this team; it finds its groove and ends everything with another championship… right? A 22nd at Las Vegas Motor Speedway was salvaged by an eighth at Richmond Raceway. But the final race of the first round at the new Charlotte Motor Speedway ROVAL, was the beginning of the end of a dynasty, because, for the first time in years, Johnson decided to focus on an individual result at the risk of falling out of contention of a championship. If Johnson had decided to hang back and finish second, he would have moved on to the next round of the playoffs. But Johnson wasn’t counting on Kyle Larson to finish as high as he did in the race, and he ended up just a point out. A week later at Dover International Speedway, a strange thing happened: Johnson pulled into the garage during the pace laps, and the race began without the seven time champion on the track. Johnson was able to return to the track eventually after the crew fixed a mechanical problem, finishing 13 laps down in 36th. Three days later, Hendrick Motorsports officially announced a change in crew chiefs for the No. 48 next season. The last month of Johnson, Lowe’s and Knaus was a mix of tears, memories and optimism for the future. Knaus was named as the new crew chief for William Byron next season, while JR Motorsports crew chief Kevin Meendering was promoted to the No. 48 for 2019. Ally Financial was named as the new primary sponsor in late October, bringing with it a full season’s worth of sponsorship. And at Homestead, the three parties celebrated one last race together with Johnson bringing his 2002 rookie paint scheme home in 14th. 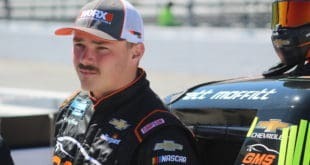 In 2018, Johnson had just two top-five finishes, one at the spring Bristol Motor Speedway race — where he finished third — and one at the Coca-Cola 600, a fifth-place effort. 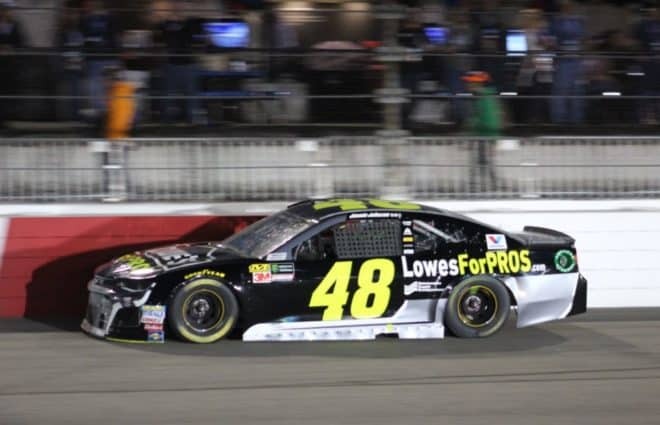 After leading 737 laps in 2016 alone, Johnson led just 40 in 2018 and 247 in 2017 and 2018 combined. And let’s be clear here: although 2018 was a disappointment, 2017 could be classified as one as well. Take out those three early season wins, and 2017 wasn’t that much better than 2018. Now, the team does have a partial excuse for the last two years. The Chevrolet SS couldn’t keep up with Toyota in 2017, while the Camaro this year was a complete disaster on the track. It only won four races in 2018, and none were able to even crack the top five in points. But Chase Elliott, Johnson’s young teammate at Hendrick Motorsports, was still able to wheel his No. 9 Camaro to three victories and sixth in points. Another teammate, Alex Bowman, had one more top five than Johnson and was able to run near the No. 48 despite it being his first year racing full-time for Hendrick. With these two, Elliott in particular, it was clear that Johnson and Knaus together were losing a step or two among the competition. A change had to happen. In lighter news, the latter half of 2018 was also home to a fun little social media campaign between Johnson and Formula 1 star Fernando Alonso. After both threw hints out for a couple of months, the two champions traveled to the Bahrain International Circuit in November to participate in a seat swap. Johnson took the wheel of Alonso’s McLaren, while Alonso spent some time in Johnson’s Camaro amid rumors of him possibly racing part-time in NASCAR next season. In 2019 and beyond, Johnson is going to have a lot to prove. For years, many fans have looked down on his accomplishments as simply being a byproduct of having the best crew chief in the game. Now that he and Knaus have split, any success from here on out is going to further legitimize his legacy as perhaps the greatest of all time. And now that he’s shown that he isn’t immortal, hopefully more fans are going to appreciate seeing that even more. Michael has watched NASCAR for 15 years and began covering the sport five years ago. He is a graduate of Salisbury University and a proud member of the National Motorsports Press Association (NMPA).